A new commemorative plaque has been unveiled in Brunswick, Manchester, in honour of former Prime Minister and Liberal party member David Lloyd George. The plaque is displayed on the site of David Lloyd George’s birthplace – number 5 New York Place (now Wadeson Road) in Chorlton-on-Medlock, Manchester. 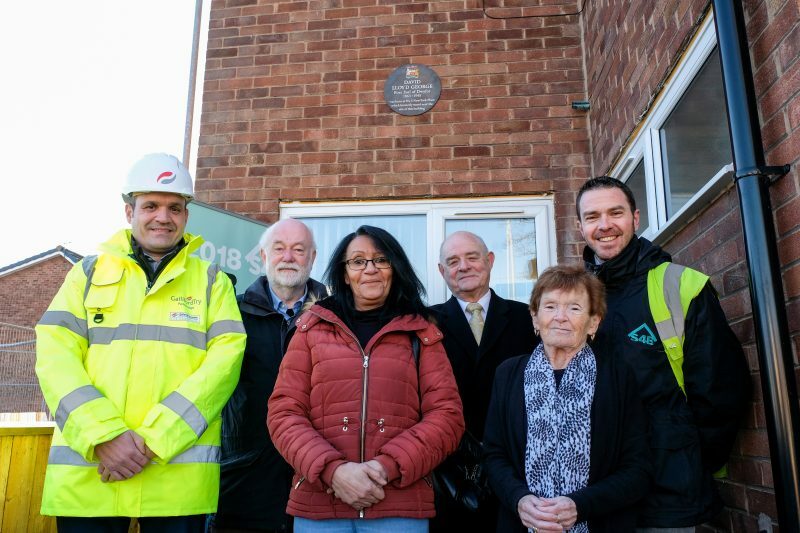 The event, held on 17 January 2019, was organised to coincide with what would have been David Lloyd George’s 156th birthday, and was the first in a series of celebrations to mark the first five years of the 25-year regeneration project in the Brunswick area. The unveiling was attended by local residents, representatives from Manchester City Council – including local Councillors and Lib Dem group leader Cllr Roger Hayes – and representatives from S4B. Craig Nemeth, project director for new build at S4B, said: “The changes at Brunswick are not just about bricks and mortar but about building the community, so we felt this was a very fitting tribute to our former Prime Minister. A member of the Liberal party, David Lloyd George was born on 17 January 1863 and served as Prime Minister from 1916 to 1922. During his time in office he introduced a number of major reforms, including the Education Act 1918, which raised the school leaving age to 14, and the Employment of Women, Young Persons and Children Act 1920, prohibiting the employment of children below compulsory school leaving age. S4B is the consortium set up to deliver the 25-year £106m regeneration project in Brunswick which started in January 2014. The consortium is made up of four organisations – Onward, Mears, Galliford Try and Equitix.